I'm on me holidays! After a long drive, we finally arrived in weymouth. Unfortunatly it is raining, so we're staying in the caravan until dinner. Which will likely be at the Marlboro (fish and chippies nomnomnom) so I can sit down after the mania that was yesterday, and the unpacking today and write a post. Now I'm on my holidays hopefully I will have time to sort out the swatches that arent in the physical copy of the book. Organ pipies pattern is so balled because unsurprisingly it looks like organ pipies. 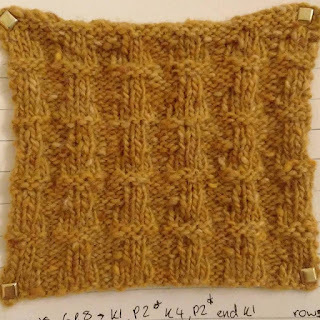 It's a pretty simple pattern with a nice enough overall effect, easily used in place of stockinette instead for more interest. It's pretty self explanitory and there's not much to say about it, it's inoffensive at best. 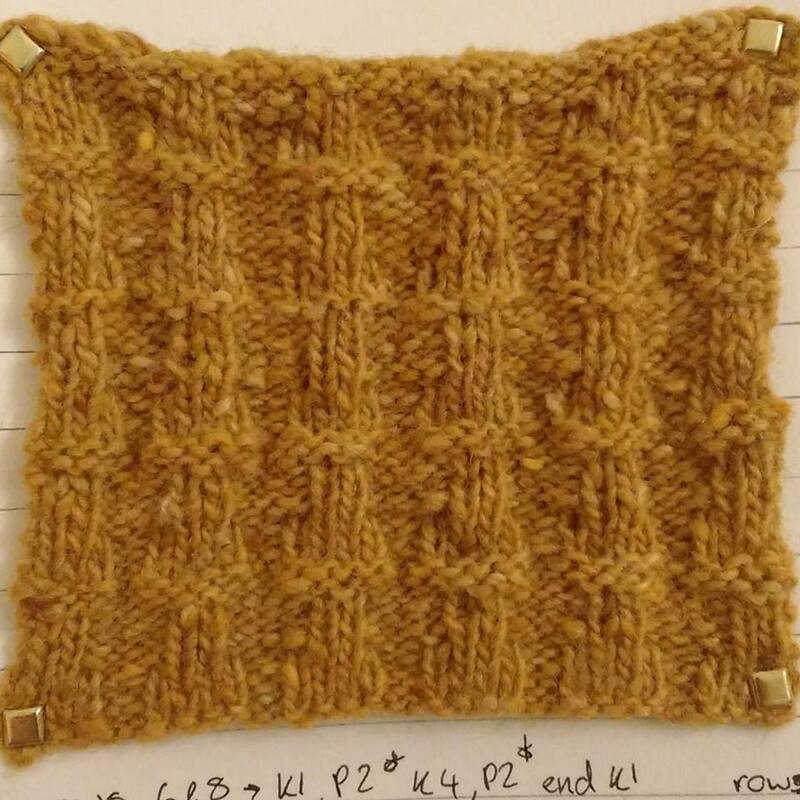 Well a simple pattern for a busy day, works well in both a textured yarn and a simple yarn. Flexible enough to work in most places where stockinette is used. Happy Knitting!